In 1992, Rick Hubbard Sargent and his wife, Judi Stauffer, presented his parents with a unique gift on the occasion of Len’s 80th birthday. 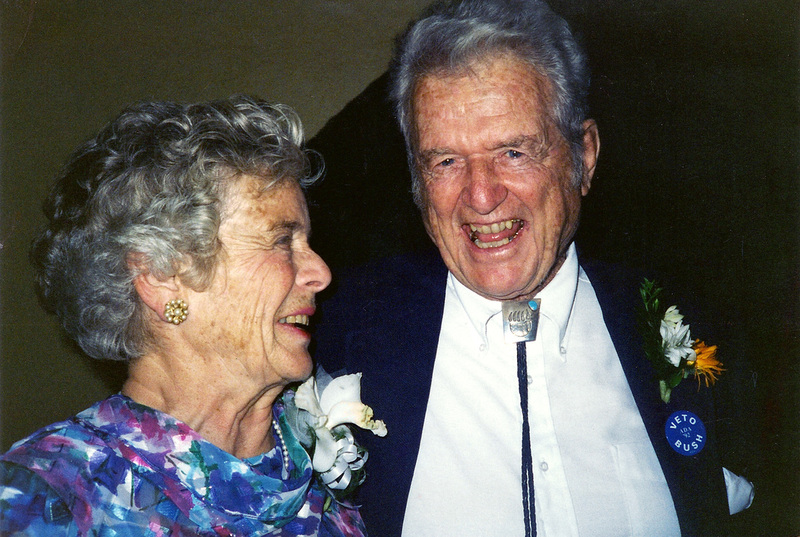 They created the Leonard and Sandy Sargent Graduate Fellowship Endowment Fund within the Environmental Studies Program at the University of Montana. The purpose of the fellowships was and remains, “... to provide support to students with a demonstrated record of [environmental] activism.” Rick, Judi, and the Cinnabar Foundation are committed to growing the endowment. The Endowment began making grants in 1995, since then 45 fellowships have been awarded. Many of the recipients are now professionally engaged in environmental advocacy, and all of them remain dedicated to environmental protection. Applications are made through the UM EVST Program, not the Cinnabar Foundation.